I have written and discussed how important it is to capture all the diagnostic metrics around your particular Key Performance Indicator (KPI). As analysts, we have a tendency to reveal too much information. We try to explain how much we know to the business and show our value. In the midst of these discussions, we forget the audience that to whom we are disseminating information. We overload our audience with knowledge, and they get overwhelmed with the information. In the situation described above, nobody wins. The analyst is left without the satisfaction of providing the audience with data. The audience feels like they got information, but it is not what they were looking for. This is a fundamental communication problem that arises many times in the industry and we need to start from Strategy, move to Data and then create KPIs. Your website, landing page, microsite, and mobile page was built for a reason. There are marketing initiatives that are driving users to view the technical property. Strong analysts find out those reasons and understand the user experience of the page and it’s relationship to the data. Collecting this information is a vital step to finding your KPI. The strategy of your website isn’t always being captured with data. This stage, you have your strategy from the executive or product manager about your technical property and you find the gaps in the data. Your goal is to capture every step in the entire strategy with data. The last step is creating the Key Performance Indicators. This step is the most difficult as you are trying not to overload your audience with data, yet be informative at the same time. Focus on ratios, monetary figures, and conversion. Your goal is to find KPIs that closely mimics the way the technical property makes money. 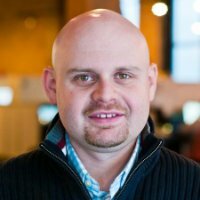 There is no one step answer to this, but there are a few ways to fail when selecting KPIs. With many different online and mobile properties and user experiences, it is difficult to create perfect KPIs. 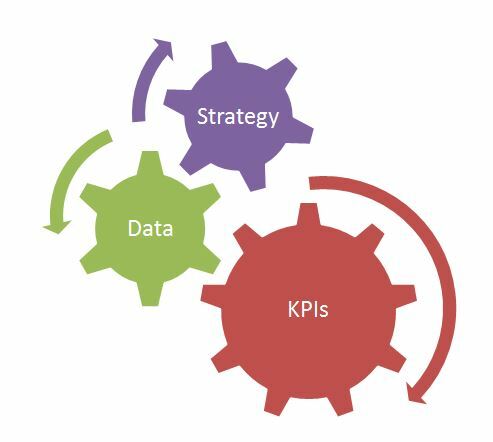 Your KPIs must be designed to match the strategy of your technical property. You cannot shower your audience with data, or you will create an information overload. It takes some practice at getting this right, but with the right questions you will create accurate and measurable KPIs.